This global annual market overview will provide you with an in-depth review of the key issues in the global sports and energy drinks market through 2014 as well as our forecast for what will happen in 2015 and beyond. 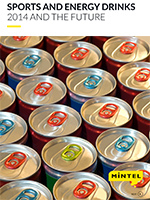 The global energy drinks market continues to enjoy robust growth in 2014, despite ongoing concerns about the healthfulness of high-caffeine drinks. Value sales across the major global markets increased in volume terms, marking an overall improvement on the previous year’s performance. Much of the growth is coming from less developed energy drink markets in Africa, Asia and South America, where international brands are quickly boosting their profile and – in certain cases – locally produced drinks are gaining share through a combination of wide distribution and lower price points. Reflecting this buoyant performance, the level of launch activity remains broadly high, although there was a notable decline in the number of new launches in the US and UK over 2013-14, and Red Bull saw its share of global NPD fall. The number of sports drink launches has increased each year and hit a record high in 2014, reflecting notable activity in China and Japan. The US remains the powerhouse of the category, accounting as it does for half of the global volume sold in 2014.